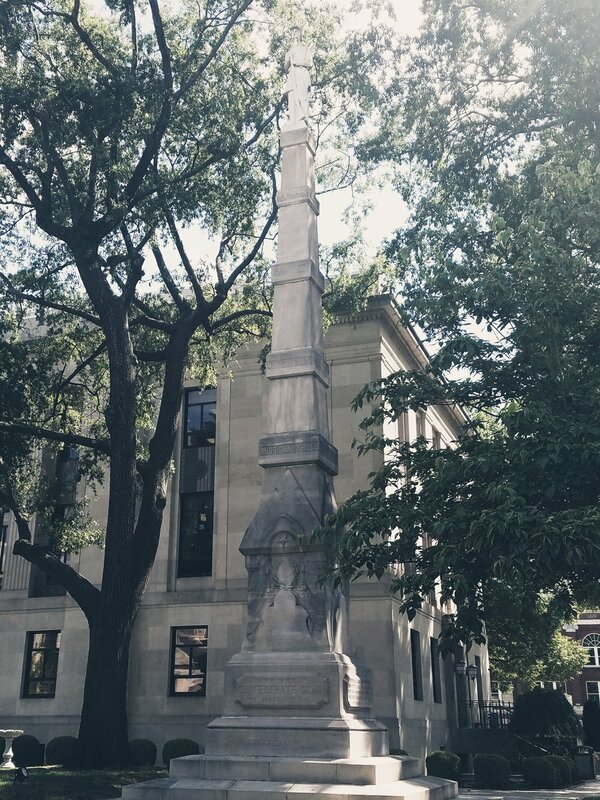 the only World War I Memorial in Jackson was only recently restored to include the names of black men and women who served. Memory is tricky. Eliza Woods was lynched in Jackson, TN at the Madison County Courthouse on August 18, 1886 but the space bears no mention of her or the events that transpired there. The buildings and landscape were different back then, but we did our best to position ourselves where we imagined she drew her last breaths. As we stood, prayed, sang, and took communion in the shadow of these other historical markers, it was abundantly clear that we as a people remember that which we purpose to remember. On December 6th, Dr. Cindy Boyles gathered a group of government officials and community members at City Hall to begin work on the Jackson-Madison County Community Remembrance Project. The Community Remembrance Project is a partnership with the Equal Justice Initiative, and their The Legacy Museum: From Enslavement to Mass Incarceration and The National Memorial for Peace and Justice. We are so deeply grateful that in conjunction with this year’s Freedomland Sunday service, City Fellowship is able to participate in the Jackson-Madison County Community Remembrance Project. 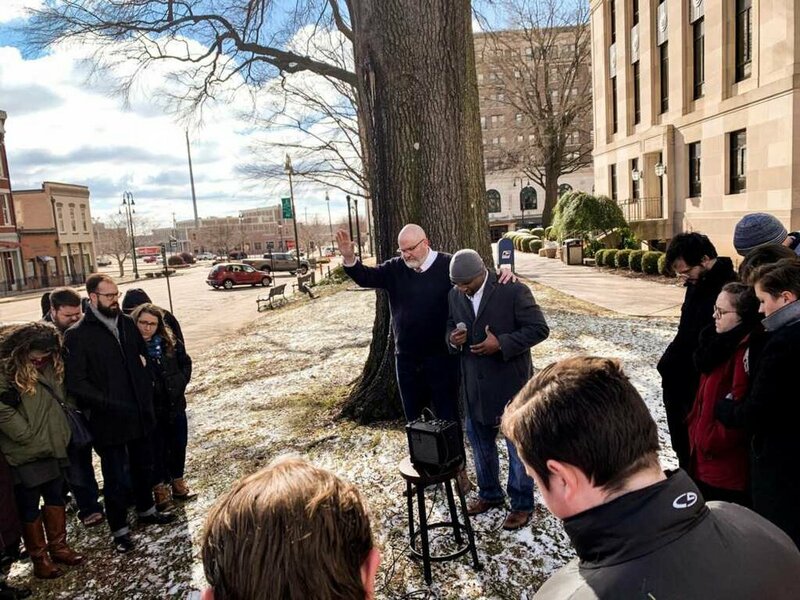 This project will enable Madison County to memorialize its three known lynching victims— Frank Ballard, John Brown, and Eliza Woods— in three stages: soil collection, erecting historical markers, and a monument placement initiative. At the National Memorial for Peace and Justice over 800 steel monuments hang suspended in the air, one for each county in America where someone was lynched. For each monument hanging there is a replica resting around the perimeter. The hope of Equal Justice Initiative is that each county in America that lynched someone will claim their monument, and set it up in their community as an act of truth telling and reconciliation. Contact Melanie Taylor at melanie@cityfellowship.net for information on the Jackson-Madison County Community Remembrance Project.